Radio telescopes have picked up some bright radio flashes that appear for only a brief moment on the sky and do not repeat (Thornton et al. 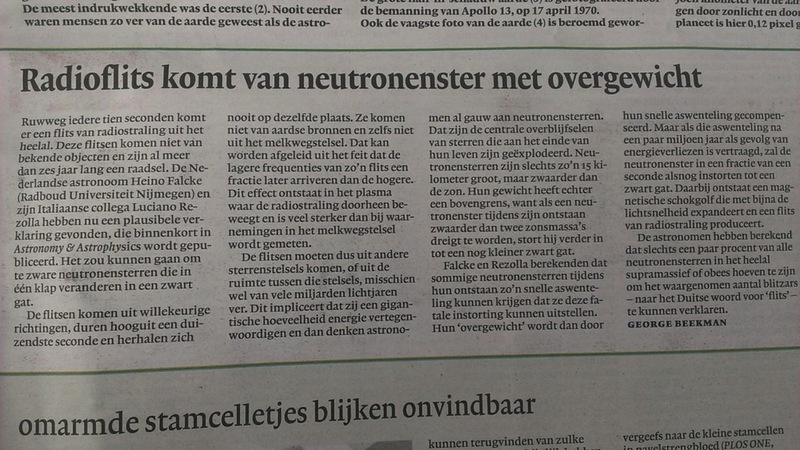 2013, Science). So, what causes these unusual radio signals? 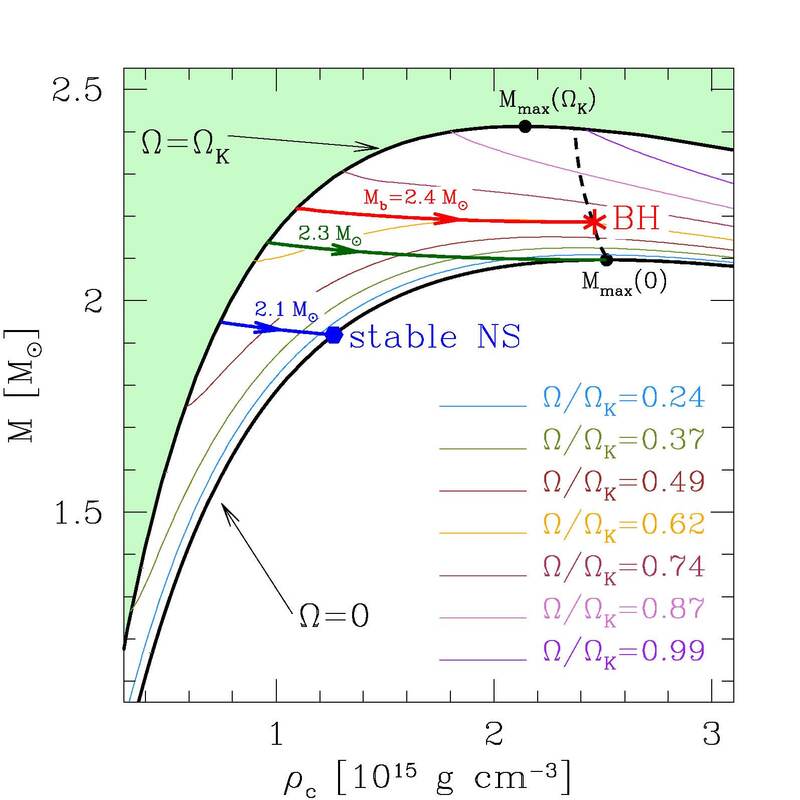 We suggest in a recent paper (Falcke & Rezzolla 2013, ArXiv.org) that this could be the final farewell greetings of a supramassive rotating neutron star (SURON) collapsing into a black hole and shedding its magnetic field. Neutron stars are the ultra-dense remains of stars that have undergone a supernova explosion. If they are formed above a critical mass of more than two solar masses, they are expected to collapse immediately into a black hole. Some stars, however, could postpone that final death through fast rotation for millions of years. Centrifugal forces will stabilize the overweight star against collapse. Nonetheless, as the star ages and slows down due to "magnetic-braking" it will eventually cross the ultimate death-line and suddenly collapse to a black hole. 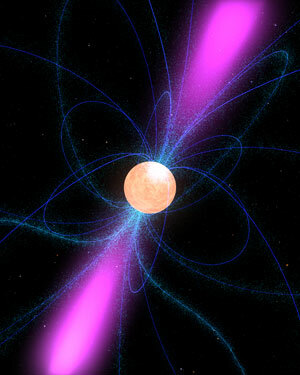 While neutron stars have strong magnetic fields, black holes do not (according to the "no-hair theorem"). Hence, during the milli-second long collapse the neutron star needs to shed its entire magnetic field almost at once, which should lead to a bright radio flash. Therefore, fast radio bursts from supramassive rotating neutrons stars, here dubbed "blitzar", could be a unique signature of the birth of a black hole and could thus contain crucial information of its formation. Back to my homepage or to press releases.